Mumbai –Imagine a wedding, when the groom follows the bride to her home to start a new life together. Imagine a room filled with laughter and joy when a baby girl is born. Imagine a market, where the cash counters are being managed by women. Imagine a household, where the youngest daughter of the family inherits the family property and is considered the custodian and preserver of her clan, family and lineage. … In the northeastern state of Meghalaya, these are scenarios that are not just the product of the imagination of an egalitarian mind. 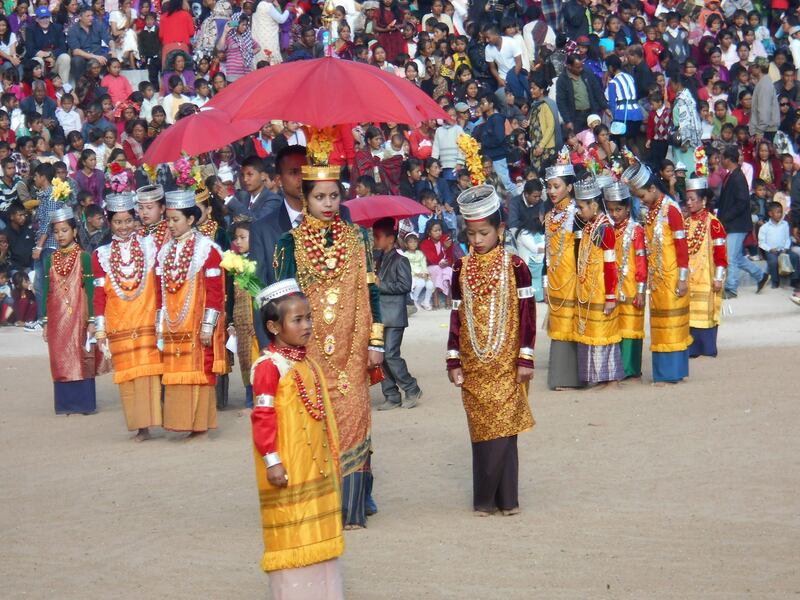 Matriliny, which gives Khasi women the rights of inheritance and succession, has been in practice here for 2,000 years. Under the matrilineal system, the family lineage is passed on through the mother’s clan line, or ‘kur’, and the youngest daughters are the Khatduhs, or the custodians of the ancestral property. “The reason being that they will logically live the longest,” says Seth, who has portrayed the system and its social-political complexities through the lives and experiences of his three female protagonists – 52-year-old Hulda Kynta, 29-year-old Selinda Kharbuki, and 23-year-old Jubelee Kharmujai. “While Hulda, a political science lecturer in Sohra (Cherrapunji), and Selinda, who has shifted base to Bengaluru, have opted to leave their state for better opportunities, Jubelee, who comes from a low income family, is struggling, as she has been denied her inheritance despite being a Khatduh. In fact, all three are Khatduhs although this no longer ensures that their lives and right are secure. Through their voices, I have attempted to understand the intricacies of this system, its traditions, and the gender dynamics,” he adds. Consequently, the film is nuanced and closely looks at what their lives are all about these days. It shows a proud people who don’t look down upon single mothers – “since children take their mother’s name, no single woman will ever have an illegitimate child,” says Kynta. At the same time, it brings out the insecurities of the men – “they live in the fear of being thrown out of the mother’s or sister’s house”. Today, the Khasi community can take immense satisfaction from the fact that they don’t give or take dowry, their women have inheritance rights and they are also comparatively freer than their counterparts in the rest of the country. But that doesn’t necessarily mean they are better off. Things are slowly taking a turn on account of education and economic compulsions, among other things, which are creating the conditions for change. This tussle between the sexes and the roles they play in society is visible on different platforms. Take, for instance, their indigenous governance structures, on the lines of the panchayat, where women have been consciously kept away from the decision-making positions. 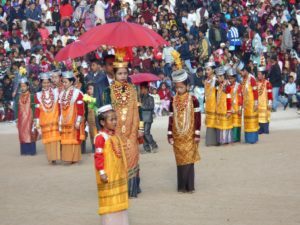 Indeed, even the nomenclature of the head of the Dorbar – or the village level traditional institution – the Rangbah Shnong, literally means “headman”. Moreover, when it comes to the decisions taken in the family, again, it’s the men who get the upper-hand. There are many takeaways from the narrative, but, in one way or another, they are connected to this transformative phase that the Khasis are living through. So, where on the one hand, women continue to enjoy greater social mobility and a protected inheritance, they find themselves denied their political rights. The men, too, see themselves as outsiders in the family and are prone to adultery, drug addiction to “deal with this situation”. These, undoubtedly, are complicated times for them. The life- styles of North East ethnic communities have rarely been projected in media or academic circles. The documentary is a positive attempt to depict the struggles of women to protect their traditional rights in the face of increasing male hegemony. The effort should be appreciated.